Click red sign on the side of page about Scam Online Classes and Programs. Are CPR and First Aid Courses, or Programs Accredited? Actually No. Believe it or not, the national consensus within the medical and education community, technical education and training program such as CPR and First Aid have not been pushed to the point of legislating or rulemaking to assign accreditation or certification as a requirement to provide these course. No organization exists that provides a national governance or endorsement or approval. This allows each CPR certification provider to construct their own curriculum and teaching methods based on the AHA ILCOR guidelines. Every business, agency, or individual can freely choose to accept ASHI, NSC, AHA, ARC, and ECSI as CPR and First Aid training programs. Unfortunately, other companies also claim to be “nationally accredited.” However, many of these companies are approved by phony or irrelevant foundations and associations. This increases a professional’s risk of out of date training and employer rejection. Who sets curriculum for First Aid and CPR programs? The International Liaison Committee on Resuscitation or ILCOR is a group of governing bodies from numerous countries throughout North America, Europe, Australia, Africa, and Asia who set the standards for resuscitation and first aid techniques and instruction. The United States representation on the ILCOR is the American Heart Association or AHA. The guidelines are then taken by multiple different groups who each form their own curriculum or educational processes to teach the guidelines. These groups include American Safety and Health Institute or ASHI, American Heart Association or AHA, Red Cross, National Safety Council or NSC, and Emergency Care and Safety Institute or ECSI. Each set their own course requirements to achieve cognitive and skills compliance to the set ILCOR guidelines. From the information above it is very clear, that it is not in the AHA’s power to approve, endorse, or accredit any curriculum or certification program other than their own. The AHA simply helps the ILCOR as a liaison from the USA medical communities, and then publishes their own courses and material as well as provides the guidelines to other teaching organizations to produce CPR and First Aid courses and programs. ASHI, ARC, NSC, ECSI are not accredited, endorsed, recognized, or certified by the AHA, but that does not mean that they are not valid forms of certification or education. By following the ILCOR and AHA guidelines of what to teach, each organization is able to effectively teach individual CPR and First Aid programs using different methods of education. Although the AHA maybe the ILCOR representative from the United States, it doesn’t mean that they have the right to say they produce accreditation or approvals of other CPR and First Aid programs. Additionally, the common misconception about training programs being AHA accredited, has been around for years due to the involvement of the AHA with the ILCOR, and not based on national medical or educational accreditation guidelines. There is no AHA Guidelines accredited programs related to training and education. Although, the AHA Training Programs are accredited to provide continuing medical education or CME’s through the Commission on Accreditation of Pre-Hospital Continuing Education or CAPCE, just like ASHI. The Easy Way to Meet Regulatory Safety Requirements and Rules. To ensure that you, your people, and your business meet regulations SCS Safety Health and Security Associates has partnered with the American Health & Safety Institute (AHSI). From their nationally approved and accredited emergency care and professional EMS programs to their OSHA courses, you can be sure that the content from the HSI meets your needs. Additionally, we are an authorized trainer OSHA Training Education Site, associated with the Mid Atlantic OTI Education Center. These two organizations work hard to gain and maintain regulatory acceptance with SCS to help keep you in compliance too! 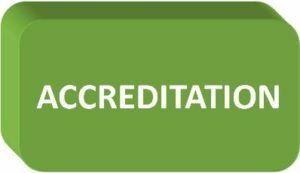 AHSI, like the AHA, is a nationally accredited organization of the Commission on Accreditation of Pre-Hospital Continuing Education (CAPCE, formerly CECBEMS). CAPCE is the national accrediting body for Emergency Medical Services (EMS) continuing education courses and course providers. CAPCE accreditation requires an evidence-based peer-review process for continuing education programs comparable to all healthcare accreditors. All ASHI professional level resuscitation courses are CAPCE approved. Thus they allow Continuing Medical Education Credit to be assigned for a specific course that can be used to re-certify an individual’s certification or license. CAPCE represents only that its accredited programs have met CAPCE’s standards for accreditation. These standards require sound educational offerings determined by a review of its objectives, teaching plan, faculty, and program evaluation processes. CAPCE does not endorse or support the actual teachings, opinions or material content as presented by the speaker(s) and/or sponsoring organization. CAPCE accreditation does not represent that the content conforms to any national, state or local standard or best practice of any nature. No student shall have any cause of action against CAPCE based on the accreditation of the material. ASHI CPR, AED, First Aid training programs are currently accepted, approved, or recognized as an industry credential meeting the requirements of more than 2400 state regulatory agencies, occupational licensing boards, national associations, commissions, and councils in more than 550 occupations and professions. HSI and ASHI are a member of the Council on Licensure, Enforcement and Regulation or CLEAR, the premiere international resource for professional regulations stakeholders. HSI and ASHI are also a member of the American National Standards Institute or ANSI and ASTM International or ASTM, both globally recognized leaders in the development and delivery of international voluntary consensus standards. ASHI courses contain psycho-motor skills require an in-person, hands on skill evaluation by current and properly authorized ASHI instructors to verify skill competency prior to issuance of a certification card. Online training alone does not meet the first aid and CPR requirements of the US Department of Labor, Occupational Safety and Health Administration (OSHA) standards. Online training must be supplemented with hand-on practice. Substantial hands-on practice is needed to meet psycho-motor skill performance objectives. ASHI publishers and administrators set of Quality Assurance Standards are designed to monitor and improve the performance of HSI and its approved ASHI Training Centers and Authorized Instructors so that the products and services provide consistent standards, and to meet and exceed the requirements of HSI, regulatory authorities. “2015 International Consensus on Cardiopulmonary Resuscitation and Emergency Cardiovascular Care Science with Treatment Recommendations.” Circulation 132, suppl. 1 (2015): S2-S268. “2015 American Heart Association and American Red Cross International Consensus on First Aid Science with Treatment Recommendations.” Circulation 132, suppl. 1 (2015): S269-S311. “2015 American Heart Association Guidelines for Cardiopulmonary Resuscitation and Emergency Cardiovascular Care Science.” Circulation 132, suppl. 1 (2015): S315-S357. “2015 American Heart Association and American Red Cross Guidelines Update for First Aid.” Circulation 132, suppl. 1 (2015): S574-S589. ASTM International. F2171-02 Standard Guide for Defining the Performance of First Aid Providers in Occupational Settings. West Conshokocken, PA: ASTM International, 2009. Arlington, Alexandria, Clarke County, Fauquier County, District of Columbia. Sudden Cardiac Arrest (SCA) is a leading cause of death in the United States, claiming an estimated 325,000 lives each year. 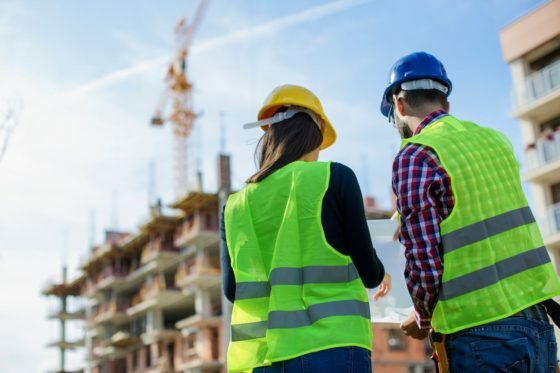 Independent Safety Consultants have proven to be more beneficial for many companies, for it provides a professional view that is outside the culture of your company. Yes culture! The culture of a company is a great asset for many companies and for a well-managed and profitable company it is what everyone looks to see when doing business with that company or business. Copyright © 2019 SCS Safety Health & Security. All Rights Reserved. The Magazine Basic Theme by bavotasan.com.